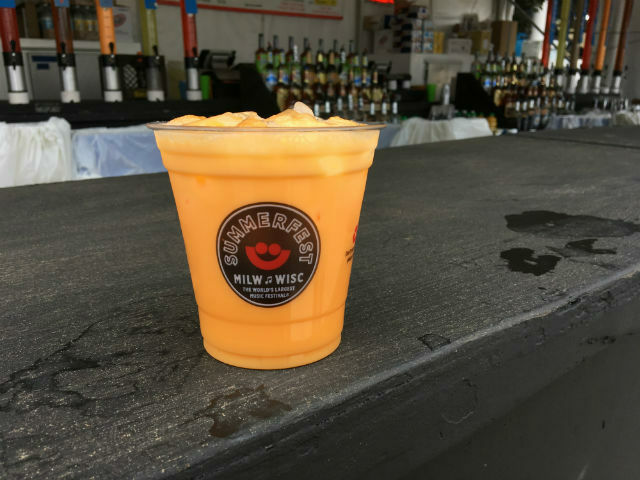 The Crispin Rose, a fruity cider, is only available in two bar locations at Summerfest. Published June 29, 2018 at 12:01 p.m. Despite the fact that Milwaukee is nicknamed Brew City, not everyone here loves to drink beer. Sometimes it's the taste, the gluten or the feeling of being full that you just don't want. 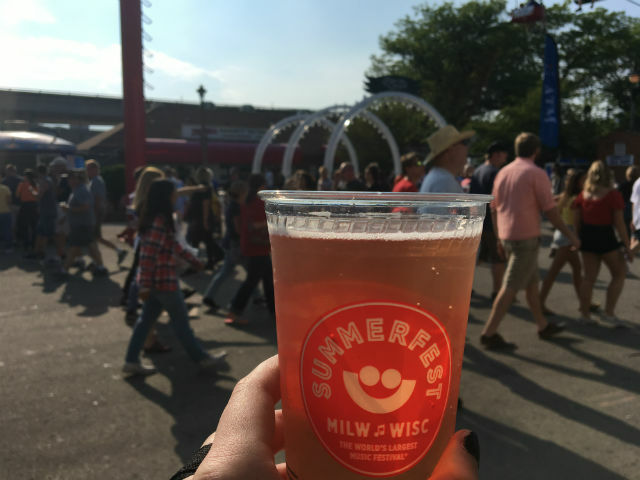 Thankfully, if you're looking for something alcoholic (or not) without all the hops, Summerfest has your taste buds' back. Here are six drinks at the Big Gig that will wet your whistle – without the grain, hops and yeast. This cocktail comes from JoJo's Martini Lounge and tastes just like an orange creamsicle. Vodka, orange cream liqueur and orange juice make up this delicious drink. At a price of $11 for any martini or cocktail, it's a bit expensive, but it's sure to cool you down on a hot day – something you'll likely need for this weekend's heat wave. Find JoJo's near the south end of the park. You'll be feeling the electricity in the air with this great drink – another $11 treat at JoJo's. Not only is it a bright color, but it also tastes refreshing and delicious. It's like everyone's favorite lemonade with a fun, adult twist. The drink is vodka, blue curaçao and lemonade. Be sure to check out the rest of JoJo's menu for other martinis and cocktails. If you want something non-alcoholic and totally refreshing, lemonade is the way to go. 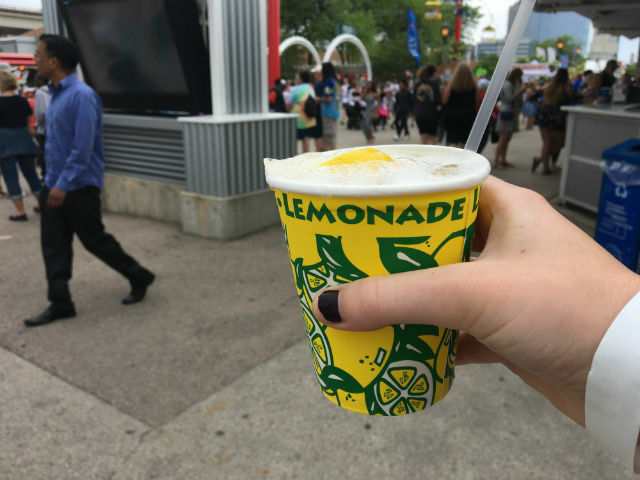 Watch the attendants make it fresh, right in front of you, for $4.50 (regular size), and sip that classic, sweet summertime feel – but watch out for lemon seeds in your drink. (That's right: It's THAT fresh.) These booths are scattered throughout the park. 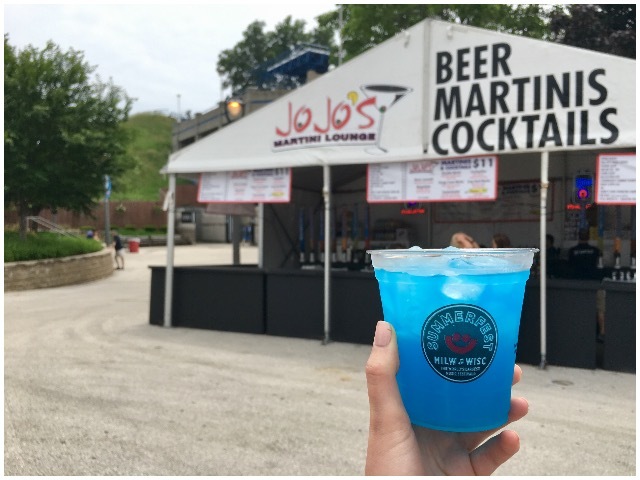 This fruity cider is similar to a sparkling wine and is only available in two locations: right outside the BMO Harris Pavilion and near the U.S. Cellular Connection Stage. Look for it for $8.50 on the menu of the Miller Lite booths. Get tastes of apple and pear juices while experiencing hints of rose petals and hibiscus with this alcoholic drink. Sure, maybe you don't want beer – but what about root beer? Another summertime classic, root beer is great for kids and adults alike as a non-alcoholic option. 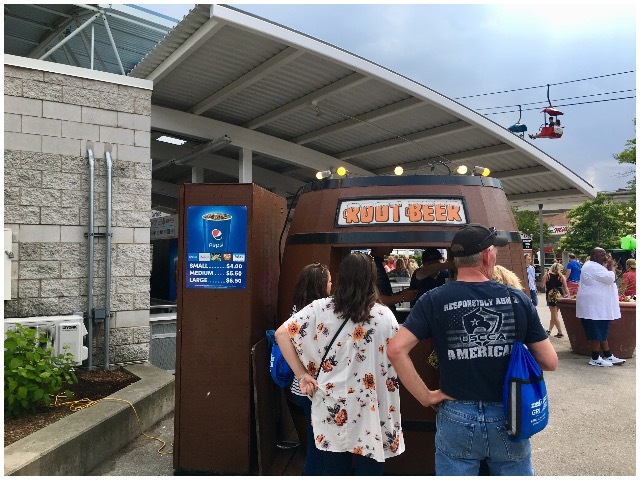 Multiple root beer stands are around the fest, so the drink isn't difficult to find – plus it's only $4 for a small. Grab some ice cream to go with it, make yourself a makeshift float and you'll instantly be transported to the good old days on grandma's porch. Louise's Trattoria near the south end has the hook-up for wine and sangria lovers. 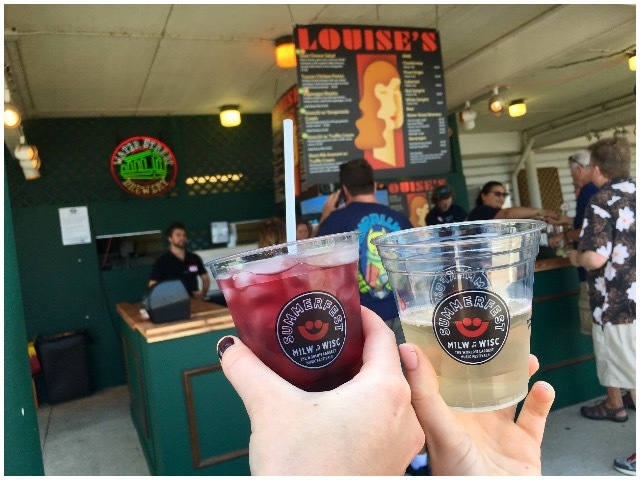 Transport yourself to Spain in the middle of Wisconsin by grabbing yourself a glass of red sangria at the fest or choose the chardonnay and get a nice white wine refresher perfect for meandering the breezy lakefront. At a price of $8 each, you can buy one or two (or more) to share. Remember, these are just a few of the non-beer drinks Summerfest offers. Keep your eyes out for more!